Source: Villapiano NLG, Winkelman TNA, Kozhimannil KB, Davis MM, Patrick SW. 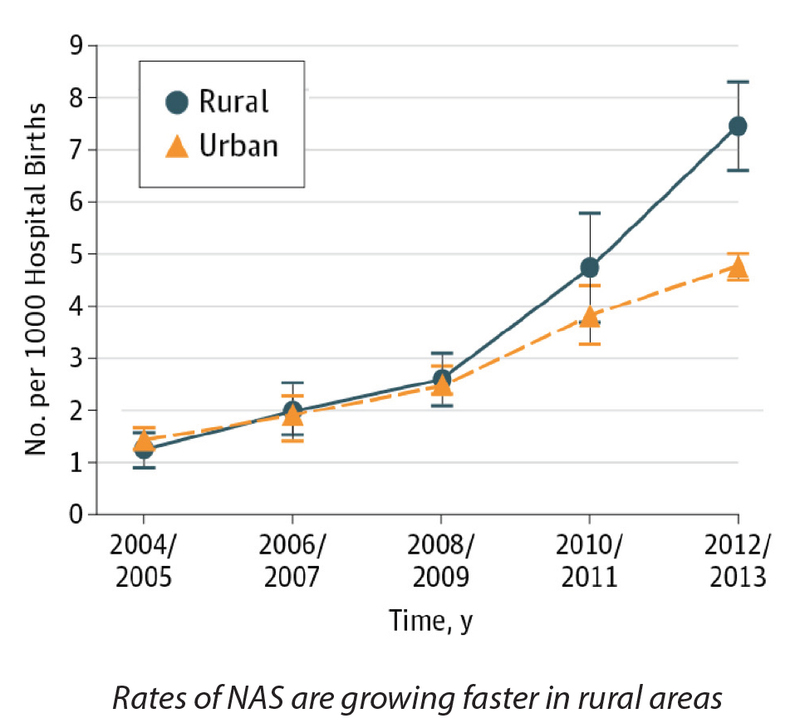 Rural and Urban Differences in Neonatal Abstinence Syndrome and Maternal Opioid Use, 2004 to 2013. JAMA Pediatr. 2017;171(2):194-196. doi:10.1001/jamapediatrics.2016.3750. Patients should work with their doctor to determine which medication is best for them. Treatment with methadone or buprenorphine does pose some risk for NAS. Divided dosing with methadone—taking smaller doses more often—reduces fetal exposure to withdrawal periods. Mothers treated with divided doses of methadone have babies with lower NAS severity.16 Currently, an NIH-funded study is examining buprenorphine during pregnancy and how to improve buprenorphine dosing regimens. Supporting access to treatment. Health insurance providers that cover treatment for substance use disorders are required to provide coverage equivalent to what is provided for other health conditions. Visit HHS' website to learn more about parity protections and insurance help for mental health or addiction services. Ask your healthcare provider about treatment options. To find treatment services in your area, visit SAMHSA's treatment locator and HRSA's Find a Health Center. 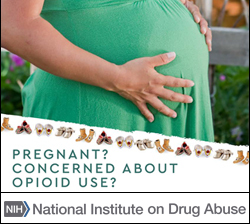 Visit NIDA's webpages: NAS, heroin and pregnancy, and Effective Treatments for Opioid Addiction. Visit SAMHSA’s webpage: NAS. ACOG & ASAM. Obstet Gynecol (2012). Kaltenbach K, et al. Obstet Gynecol Clin North Am (1998). Center for Substance Abuse Treatment. TIP Series 43 (2005). National Consensus Development Panel on Effective Medical Treatment of Opiate Addiction. JAMA (1998). Ko JY, et al. MMWR (2017). Patrick SW, et al. JAMA (2012). Patrick SW, et al. J Perinatol (2015). Epstein RA, et al. Ann Epidemiol (2013). Tolia VN, et al. NEJM (2015). Brogly SB, et al. Am J Epidemiol (2014). Jones HE, et al. NEJM (2010). Fajemirokun-Odudeyi O, et al. Eur J Obstet Gynecol Reprod Biol (2006). Klaman SL, et al. J Addic Med (2017). OWH. White Paper: Opioid Use, Misuse, and Overdose in Women (2016). Thigpen J & Melton ST. J Ped Pharm Ther (2014). McCarthy JJ, et al. J Addict Med (2015). NIDA. "Treating Opioid Use Disorder During Pregnancy." National Institute on Drug Abuse, 1 Jul. 2017, https://www.drugabuse.gov/treating-opioid-use-disorder-during-pregnancy. NIDA. Treating Opioid Use Disorder During Pregnancy. National Institute on Drug Abuse website. 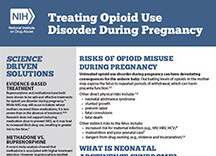 https://www.drugabuse.gov/treating-opioid-use-disorder-during-pregnancy. July 1, 2017.